Chris Ralph and I were fortunate enough to both visit the Peruvian Amazon for our first times on the same trip - we encountered many interesting catfishes and Chris introduces one of them this month. 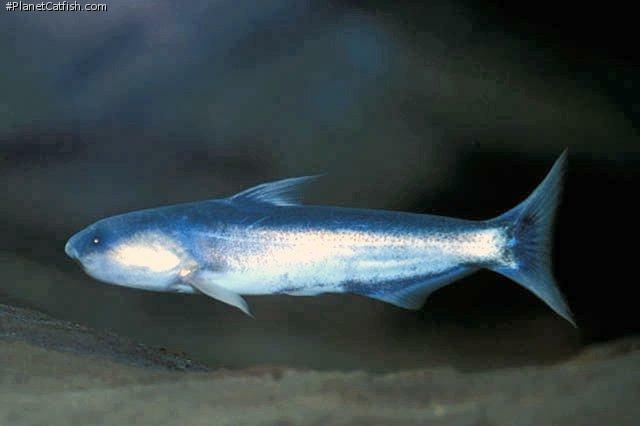 Cetopsis coecutiens belongs to the family Cetopsidae or Whale Catfishes from South America; namely the Amazon basin, Peru, Bolivia, Colombia, Ecuador, Venezuela and Brazil - Tocantins and Orinoco River basins. This catfish belongs to the sub-family Cetopsinae. Cetopsis coecutiens is one of the largest of the so called species of “Candiru” and is viewed with some trepidation amongst a number of catfish enthusiasts. Unfortunately or fortunately depending upon your personal views, Cetopsis coecutiens is not commonly available to the hobbyist. When this unusual catfish is available expect to pay £20-£25 per fish. In their natural habitat these catfish are very much opportunist parasites feeding upon other fish, literally biting chunks of flesh from the body of their unfortunate victim. These catfish are often found inside the body cavities of larger fish such as the Red tail catfish — Phractocephalus hemioliopterus and Tiger shovelnose — Pseudoplatystoma fasciatum! These catfish are found in relatively large numbers in their natural habitats. Although it is documented that this catfish reaches a size of 265mm, whilst collecting catfish in Peru in July 2000 a number of specimens were caught on rod and line which exceeded this length and were 300mm+! The body shape of Cetopsis coecutiens is described as being cylindrical, torpedo or cigar shaped. The body is also best described as being naked or devoid of scales. The pectoral fin spines are not serrated. The eyes are small in comparison to the rest of the body and are often described as being “piggy”. The mouth is relatively large in comparison to the rest of the body with the mandible being under slung, with the maxilla protruding, almost giving the appearance that the fish is smiling. The base colour of the dorsolateral region of the body and head is blue, whilst the ventrolateral region is predominantly white in colour interspersed with some patches of blue towards the head. The dorsal and caudal fins have some blue colouration whilst the remaining fins are white in colour. I would suggest a minimum size of 72” x 24” X 24” if you are going to keep these catfish until they attain adult size. There is no real preference of substrate when keeping these catfish however; I would suggest good quality aquarium sand such as BD Aquarium Sand, or very smooth rounded gravel. The aquarium should provide minimal shelter in the form of rocks or bogwood due to the fact that this catfish is constantly on the go, swimming in the midwater regions of the water body. As with all other species of fish, water quality and general husbandry is very important, and I would recommend that a minimum of 25% water is changed on a weekly basis due to the fact that these catfish are constantly looking for food and the diet is fish or meat based. Lighting should be dim, due to the poor eyesight of these catfish and the fact that they are found at relatively deep water levels in their natural habitat. Wherever possible I would recommend that the aquarist keep these catfish in a species only aquarium in small groups, but as the absolute minimum I would suggest two to three specimens assuming that they are available in these numbers. In their natural habitat Cetopsis coecutiens would be found in very large shoals. This catfish is not a species to be trusted in with other species due to its ability to bite lumps out of other large fish, and would soon devour any small fish within the confines of its environment. With this information in mind I would not recommend that you keep any other fish with these catfish.